If you're in the market to upgrade your fitness tracker, you may want to hold off. That's because Fitbit just announced a brand new smartwatch — and some high-tech fitness accessories to go with it — coming out this fall. Coming this October is the Fitbit Ionic smartwatch. At first glance, this high-end fitness tracker looks like a slightly larger version of last year's Fitbit Blaze, both of which have a color touchscreen and smartphone-style notification system. But the Ionic isn't just an updated Blaze: it's an evolutionary leap forward that packs a lot of new features into its slim chassis. It starts with everything you would expect from a top-of-the-line fitness tracker, automatically keeping tabs on steps, distance, calories, burned, heart rate and more. As an upgrade from the Blaze, the Ionic has a built-in GPS, which the gadget uses to automatically track your runs even if you leave your phone at home (and 2.5GB of storage lets you keep your running music on the Ionic, too). If you prefer swimming to running, the Ionic is also. water-resistant to 50 meters, so you can wear it while swimming — and it will even track your laps. Still, it's where the Ionic goes beyond these basic features that it starts to shine. A new SpO2 sensor estimates blood oxygen levels, which can offer a new set of health insights — and while you'll find this feature on some other trackers (like the Withings Pulse), it's not common. Fitbit is a little vague on what it will use this data for but suggests it could help detect conditions like sleep apnea. Beyond the new insights oxygen tracking could bring, the Ionic has an improved heart rate monitor and GPS to offer better accuracy than previous generation Fitbits. But is the Fitbit Ionic a fitness tracker or smartwatch? 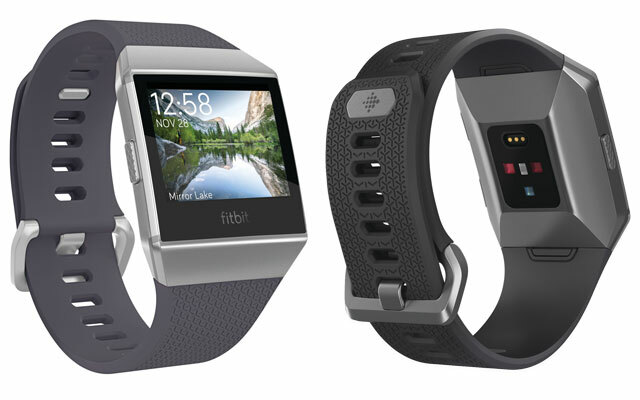 While older Fitbits have offered some "smart" features like notifications, the Ionic blurs the line between the two. On top of notifications, the Ionic offers contactless payments through the new Fitbit Pay system, and you can extend the gadget's functionality with apps from the Fitbit App Gallery. That makes it a lot more like an Apple Watch or Android Wear device than a fitness tracker. But unlike its fellow smartwatches, the Ionic offers four or more days of battery life, while most other watches need to be charged every day or two. The downside to all of these fancy features is price. At $299.95, it's $100 more than the Fitbit Blaze and $30 more than the Apple Watch Series 1. But while the Apple Watch will have app selection — we still don't know what will be in the Fitbit App Gallery — the Fitbit Ionic is a much more versatile fitness tracker. 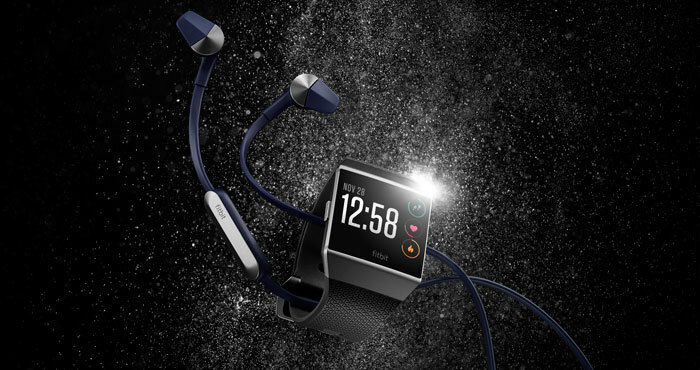 If fitness is your primary goal, the Ionic is well worth your consideration. Improved software is another compelling feature for Fitbit. 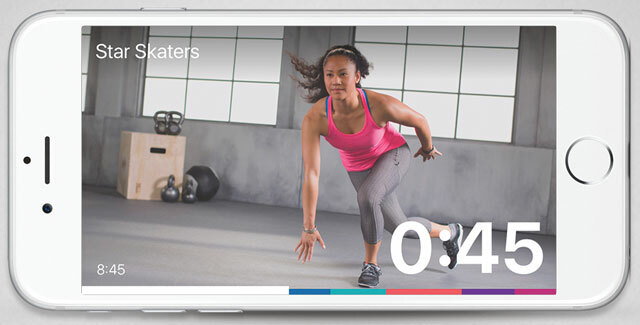 Fitbit is rebranding its Fitstar app to Fitbit Coach, and you’ll be able to access the app’s workouts through your Ionic as well as your smartphone. If you've never given it a try, the app is basically a virtual personal trainer: you do an evaluation workout and it tailors a routine based on your performance, then adapts it as you improve over time. When Fitstar becomes Fitbit Coach, it will add a new Audio Coaching feature, which will offer over 40 workout routines. A guided health program will similarly walk you through establishing new healthy habits, like cutting down on your sugar intake. This helps to address one of the big problems with fitness trackers: the data they give us is only useful if we act on it. Fitbit Coach pulls data from your Fitbit and uses it to improve your workout routine. While we'll have to see just what the updated app includes when it launches this fall (it will cost $7.99/month or $39.99/year), it's a promising addition to the Fitbit lineup. Two more items round out Fitbit's new product lineup: an improved version of the Aria smart scale and a set of wireless headphones. The Aria 2 is a simple refinement on the original Aria, with better accuracy, quicker setup and support for multiple users. You can pre-order the Aria 2 now for $129.95, and it will ship this fall. The Fitbit Flyer headphones, however, are an all-new product. These fitness-friendly Bluetooth earbuds are designed just for workouts. Not only are they sweatproof, but they can also be easily customized (with a variety of interchangeable ear-tips, wings and fins) for a perfect fit that will keep them in your ears even through a tough workout. And with up to six hours of battery life, they're likely to outlast your longest run. 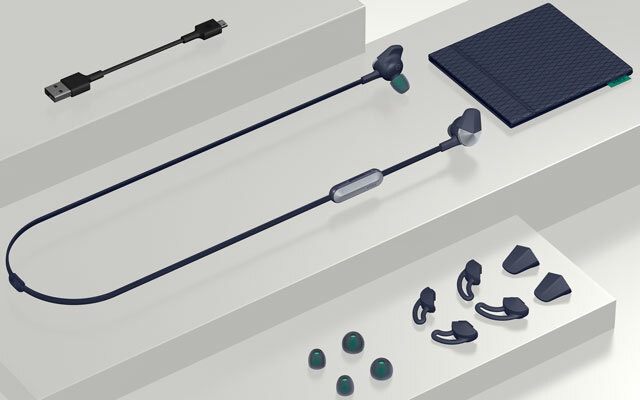 A good set of wireless headphones will be an ideal companion to the Ionic, but for $129.95 you can find a lot of good Bluetooth headphones — and without any history in the headphone industry, it's hard to tell what Fitbit's headphones will perform. You can pre-order the Flyer now — like the Ionic, it ships in October.